A successful wrestling training program is one that meets the demanding nature of wrestling. Wrestling training programs must develop a high level of anaerobic power in both the arms and the legs and excellent strength endurance. With bouts lasting up to a maximum of 5 minutes depending on the age and level, high levels of blood lactate can accumulate in wrestlers from frequent intense bursts of activity and minimal rest periods. Anaerobic endurance and capacity are more probably more important to the wrestler than pure aerobic endurance. A major consideration for wrestlers is weight management. Rapid weight loss to make a weight category has profound adverse effects on the wrestler’s physiology, particularly in relation to strength endurance. Both nutritional and training techniques can help to minimize any weight reduction required in the first place and also to minimize the negative effects of rapid weight loss. Most wrestlers and their coaches understand the necessity for strength training. However, if the focus is only on increasing absolute strength and muscular size it’s benefits are severely restricted. Wrestlers must react with power to opponent’s attack and maintain that power over numerous rounds. Simply lifting weights is not the best approach therefore a sport-specific approach to strength training is a key component to a Wrestler. 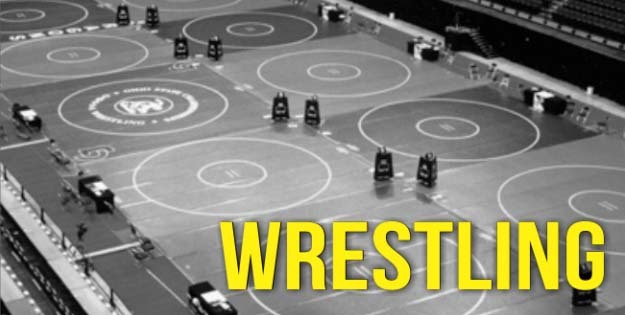 Strength training plays a significant role in a wrestler’s overall training plan. Maximal strength training is more sport-specific and is not associated with significant hypertrophy. It can also be converted into strength endurance and power endurance, two physical components crucial to a high level of performance. Core Strength & Conditioning- Training – The muscles of the core region act as a link between the upper and lower body. The stronger and more able they are, the greater the synergy of movement can be. Core strength is essential for wrestlers. Power Training- Wrestlers at any weight are immensely powerful for their size. Endurance Training- Wrestlers require strength endurance in order to maintain a high level of work throughout a bout. Explosive training methods that will increase your power. Plyometrics is a proven form of power training. Drills can be adapted for both upper and lower body power helping a wrestler to move with greater speed and force and generate more powerful throws.